A horse with a sore back can react in a number of different ways, each varying vastly depending on the nature of the horse and the intensity of the pain. Time and again, when told of a horse that is acting even slightly out of the ordinary, the go-to response of any horseperson would be, “Well, have you checked his back?” It is common knowledge that back pain in a horse is the leading cause of performance and behavioural issues, but how can you know if your horse is, in fact, sore? 1. 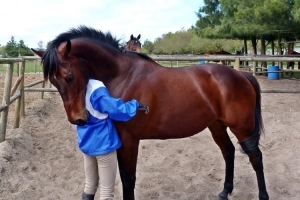 The horse will flinch or object physically when the sore back area is palpated. 2. While putting on the saddle or doing up the girth, the horse may become restless or moody, often nipping or shifting around. 3. 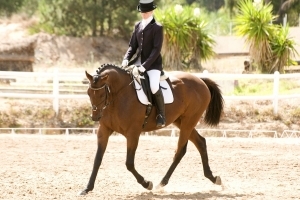 Under saddle, the horse’s movement may feel stiff or uneven. 4. 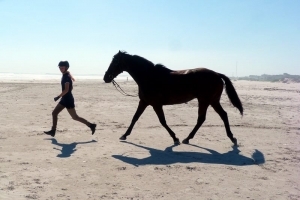 The horse may show stiffness of resistance when changing the bend. 5. 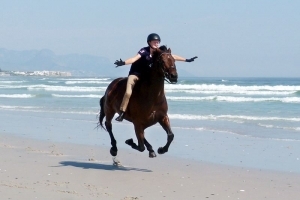 When ridden, the horse may find difficulty in extending his movements, in doing lateral work, or in stretching over jumps. 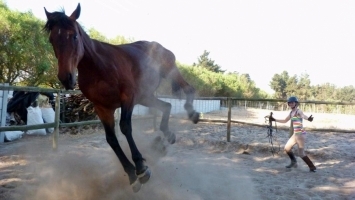 This can cause common ‘behavioural’ problems such as hollowing and resisting when asked to ‘step under’ on the flat, or - when jumping – chipping in, rushing, or throwing flat and incorrect jumps. 6. Often, with extremely sore or sensitive horses, the problem can manifest itself into a bucking or rearing habit. An energetic horse will often buck for exuberance, but when a horse kicks out under saddle, it is usually a sign of pain or stiffness. 7. While examining the horse, one might notice improper muscle development, such as wastage around the shoulders and wither, or a lack of topline. In some extreme circumstances, a horse’s coat will even show white hairs where a poorly fitting saddle has cut off circulation to certain points and caused tissue damage, resulting in an effect much like a natural freeze brand, where the hair becomes bleached due to the lack of blood flow. All the symptoms mentioned above are telltale signs that your horse’s back could be sore. 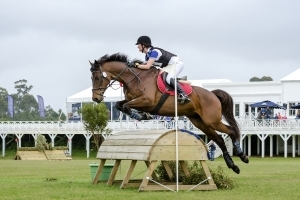 Like with all injuries, injuries in the back can be worsened with work, so if you suspect your horse of having a back injury, the best solution is to have him checked by a professional as soon as possible to avoid further damage. 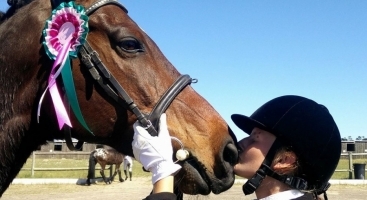 The following article lists a number of possible means of diagnoses to help the rider gain enough knowledge to know how to move forward with treating the horse.